Get MAAX Detox for free! Buy any two products from our shop and receive one box of MAAX Detox for free! Just add “MAAX Detox for free” in the comment box at checkout and you will receive one MAAX Detox box with your order. Complete satisfaction guaranteed with our unlimited return policy! We are convinced by the power of our products that we give unlimited money back guarantee for all of our products. Please find our terms and conditions for purchases at our shop here. 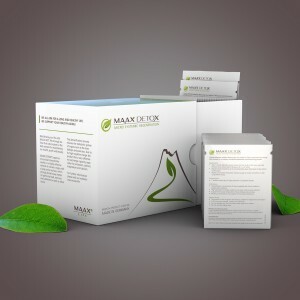 MAAX DETOX is available in a monthly package of 30 individual sachets: it is taken orally either ½ hour before the first meal, or after the last meal. MAAX Shape – balance your weight! MAAX Shape is the perfect concept to support your weight loss plan. Our combination of nutritional supplements and the appetite suppressant MAAX Redux finetunes your metabolic system throughout the day. For your balanced weight reduction! 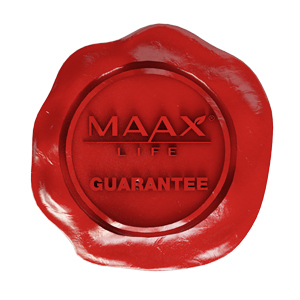 The Berlin head-quartered company MAAX LIFE® has proven and certified its high standards in production processes, quality control and organization.